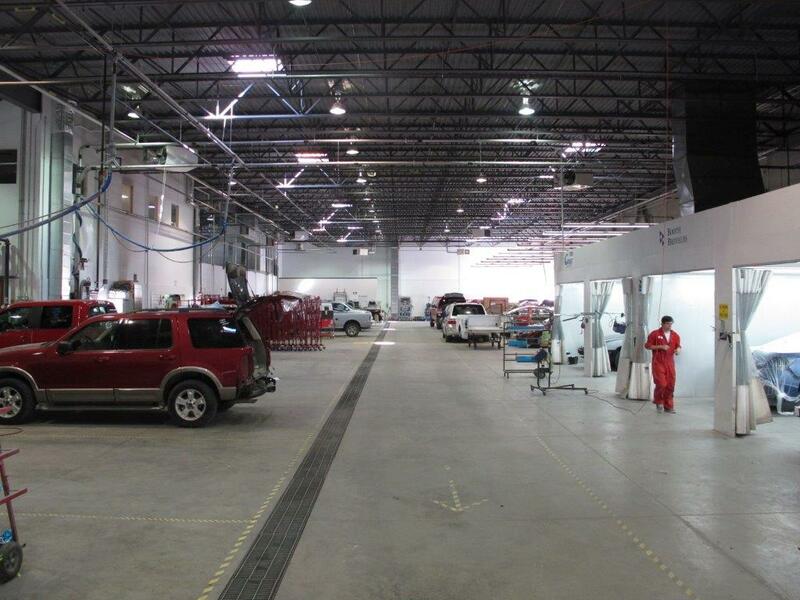 There are numerous auto body shops in Calgary, and All Makes Collision Centre is Calgary’s expert in auto body repair services. 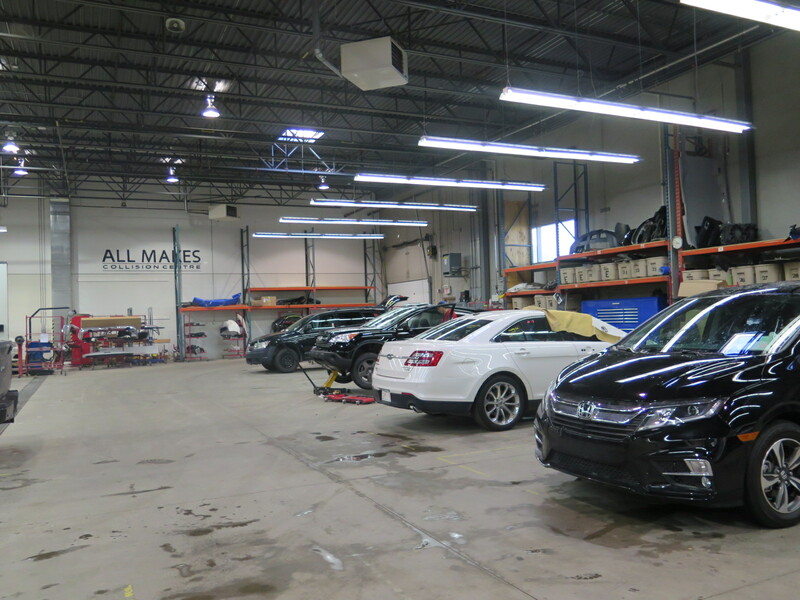 We are Calgary’s collision centre and our experienced team of professionals can handle anything from minor scuffs, dent removal, and glass replacement to full vehicle restoration, servicing all makes and all models of vehicles. We want what’s best for you, which is why we offer an extensive list of services, plus we use certified parts and processes to protect your manufacturer warranty for Ford, Lincoln, Honda, Kia, Nissan, Dodge, Jeep and Chrysler. Plus, we guarantee our repairs for as long as you own the vehicle. Our goal is to service any problem that comes our way. Our auto repair services have expanded to include scratch and dent repair specializing in small scrapes, scratches and dents and glass repair as well as full auto body repair. We offer these services to all makes and models of vehicles. We understand collisions can be stressful, so we will take care of the paperwork to get you back on the road as quickly as possible. We strive to be the most convenient auto body shop Calgary offers. Our auto body shop serves Calgary and area; Okotoks, Cochrane, Turner Valley, De Winton, and Airdrie, and are also open Saturdays to accommodate a variety of schedules. We also have drop-off points around the city! Drop your vehicle at Village Honda, Big 4 Motors, Advantage Ford, Woodridge Ford Lincoln or Okotoks Ford and one of our experienced service personnel will arrange delivery of your vehicle to us. NEED A VEHICLE WHILE YOU WAIT? While we are repairing your vehicle we can arrange to have a rental car waiting for you at the shop so you aren’t stuck without transportation. We have great relationships with all preferred rental car companies. We accept all insurance company estimates and perform the work to the satisfaction of both the customer and the insurance company. You the customer have the right to choose the repair agent your insurance company sends your vehicle to. In order for us to be the best auto body shop Calgary offers, we only use the best equipment and materials to ensure repair excellence. Above all, we offer a lifetime guarantee on all workmanship for as long as you own your vehicle. All Makes Collision Centre is accredited by AMVIC (Alberta Motor Vehicle Industry Council) and BBB (Better Business Bureau). Our business is qualified to Gold Class standard by iCar for training and development of our staff.